W.I.S.E (Wireless Interactive Scanning Examinations) is an application that grades and stores multiple-choice quizes, tests, and exams, on your mobile device. It condenses a wealth of information and powerful processing technology into the palm of your hand. Cutting edge assessment has never been easier. Originally the brainchild of two colorado public high school teachers -- WISE has been created and tested by teachers for teachers. 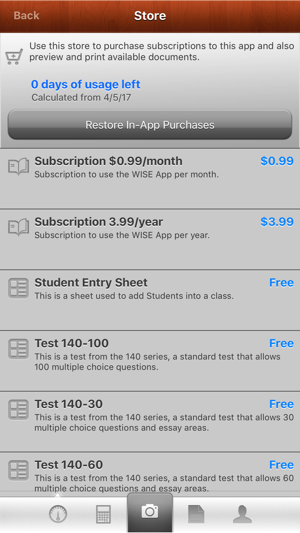 WISE is free to download and use for up to 100 scans. Print off your own bubble sheets from within the app straight to your printer and your ready to go. With WISE teachers can spend less time grading and get the data they need quickly in order to adjust their teaching to their class. - WISE is Fast and Accurate: It only takes seconds to scan quizes, tests, and exams (up to 100 questions) with over 99% accuracy. 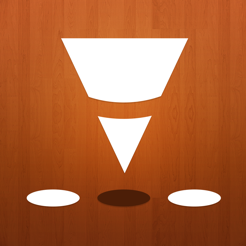 Test data is automatically organized by course, class, and student. - WISE Provides Immediate Feedback: Teachers can instantly grade tests and provide feedback to students. Tests can be scored and entered before students walk out the door. - WISE is Mobile: Tests can be graded at any time from any location. Keys and scores are securely stored on your mobile device to be accessed from anywhere. There is never a need to plug the device into a computer! - WISE Provides Data Analysis: A wealth of data is immediately analyzed through score reporting. This way, teachers spend their time making adjustments to improve student achievement, not crunching numbers. We are dedicated to continually improve and update the WISE app and service offering. Please let us know your feedback and how we can improve upon the app for you! To ensure WISE is affordable for all teachers, we’re lowering our prices! 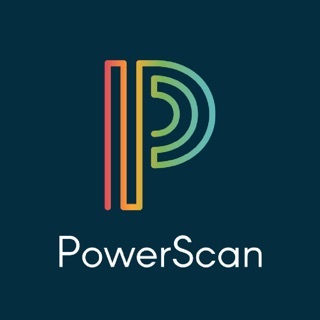 You can now enjoy unlimited scanning for just $3.99 annually or $0.99 monthly. 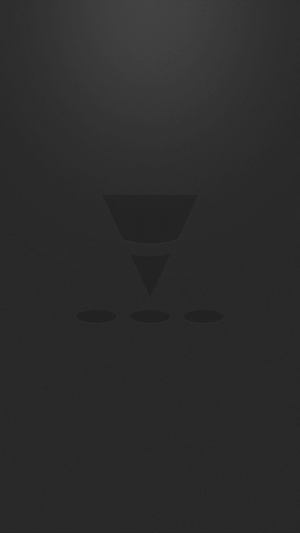 Down loaded app and didn’t work well from the start. Had trouble scanning tests. Paid for year subscription and the app says my trial is up and I cannot scam anymore teats until I pay annual subscription. Tried to email company and have gotten no response. I will be trying ZIP Grade next!!! 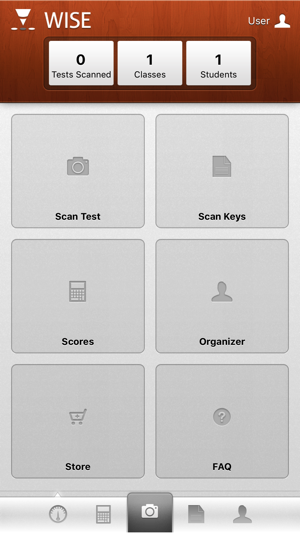 I looked at several of these test scan apps and this one won out for several reasons. The ability to go up to one hundred questions is great. 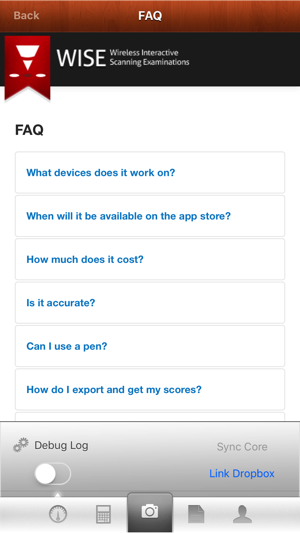 The app is simple to use, once you get used to it, and tests are scanned in no time. You get great item analysis reports and you can give students individualized scores back that either show or do not show the correct answer which is nice if you want them to do their own test corrections. (Also nice, the individual results come two to a page to save toner/paper). But one of the best things is that there is a student info sheet that they bubble in and has enough room for their whole Student ID number, so you don't have to input all 150 of your students manually, you have them bubble in the sheet and scan them into your phone and they appear. In this day and age in education, we need quick access to data and this does this exceptionally well. Highly recommend!! 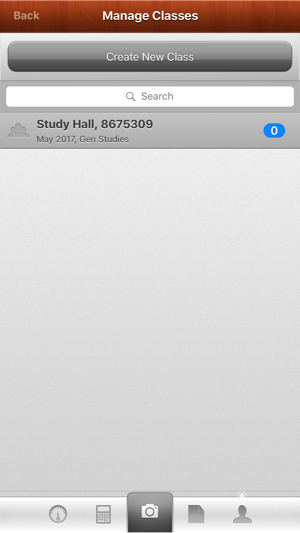 I have spent many years looking for an app that could grade a students paper by simply scanning it until one day I came across the WISE app. I knew at first sight this was not some ordinary app with bugs and nonstop issues but behold it was a brilliant and magnificent work if mastermind art. As I used the app it grew on me. I quickly fell in love with it. It's beautiful scanning process... The way it shows me a students grades in a matter of seconds. Overall this app has changed my life physically, mentally, and emotionally. Thank you!